"The great enemy of truth is very often not the lie - deliberate, contrived and dishonest - but the myth - persisent, persuasive and unrealistic .... We enjoy the comfort of opinion without the discomfort of thought"
All too often, investors rely on conventional wisdom. Ideas that may have been true one dday, which are perhaps not relevant today. For those investors who fail to question the myths they have always believed, danger lies ahead. On the other hand, great investment opportunities can stem from the continual questioning of conventional wisdom and the dispelling of myths. This article has been reproduced on our website with the permission from Montgomery Investment Management. 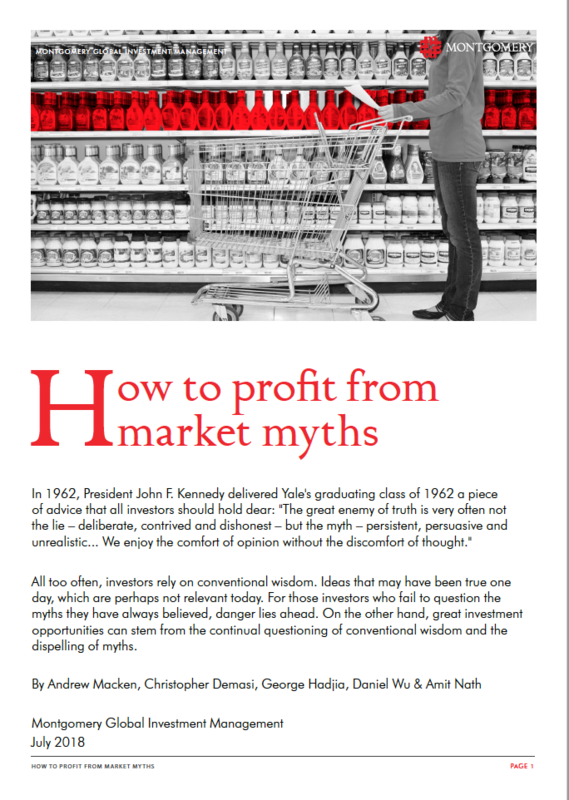 Is discussed the myths surrounding Consumer Packaged Goods, and why they may be a dangerous place to invest. Click on the image below to download your copy of this report. China - What just happened? This article is written by Charlie Aitken, founder of Aitken Investment Management. Substantial outflows from emerging markets ETFs, driven by US Dollar strength, triggered large and relentless selling in the largest index weightings in Hong Kong (Chinese equities). Fears of a “trade war” have also weighed on China sentiment. 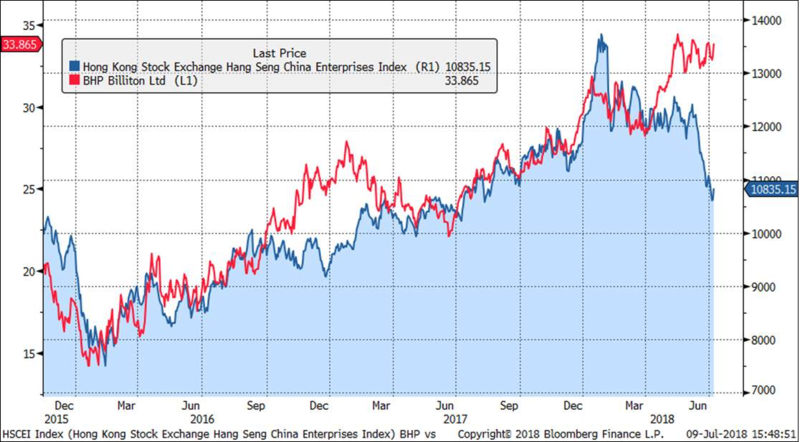 The Hang Seng China Enterprises Index (HSCEI) fell -7.6% in June, while the Chinese mainland benchmark, the Shanghai Composite Index (SHCOMP) fell -8.0%. From mid-January peak both indices are now down over -20%, triggering a technical “bear market”. It has been a brutal and indiscriminate technical sell-off in Hong Kong. However, we remain confident in the investment case for Chinese consumer facing companies and the major technology platforms which have pulled back to what we consider compelling investment arithmetic. We will explore that investment arithmetic later in this note. While Chinese stocks listed in China had a very poor month, it seems somewhat odd to us that China facing stocks listed on developed market exchanges such as the NYSE or ASX proved broadly immune to any price falls. That most likely suggests this is a violent emerging market to developed market rotation, rather than a wholesale de-rating of all things China facing. We believe this is a technical ‘clearance sale’ in leading Chinese equities and we want to emerge from this rotational correction holding the very best fundamental portfolio of tier one Chinese structural companies we can. 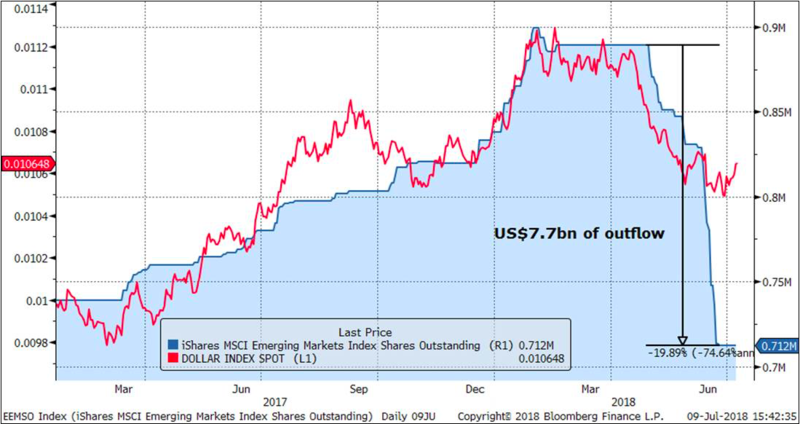 The US dollar rally that began in May has seen significant outflows from Emerging Market equities. We can use the IShares MSCI Emerging Market ETF (“EEM.US”) as a good proxy to illustrate this point. EEM has seen a 20% redemption of units on issue since April (approx. $7.7bn of outflows at today’s prices). China is the biggest weighting in this ETF at 30% and Tencent is the biggest single stock weighting at around 5.5%, so redemptions from this ETF and all other products like it lead to direct selling of Tencent and other large cap Hong Kong Listed equities. The following chart shows the number of units outstanding in EEM (the blue line) versus the DXY USD Dollar index (the red line) which we have inverted. In simple terms USD strength has seen an exodus from Emerging Market equities. For context the outflow in EEM over the past 8 weeks is greater than the outflow for the entire of 2015 when the world was in a China-centric deflationary spiral. In 2015 evidence of a fundamental slow-down in China was obvious everywhere from Chinese economic data, to global PMIs, trade data, commodity prices and even Australian listed China facing equities. The most obvious example is BHP shares which have historically had a very strong correlation to H-Shares. The chart below shows the HSCEI Index (H-shares) versus BHP. One of these 2 is sending us the wrong message on Chinese economic fundamentals. The gap in this chart will close one way or another in the second half of this year. Note the divergence started around the same time as the EM exodus (BHP is not part of EM equities). Is China grinding to a halt? Relative to the strong-growth seen in 2017 we are definitely seeing a moderation of growth in China. 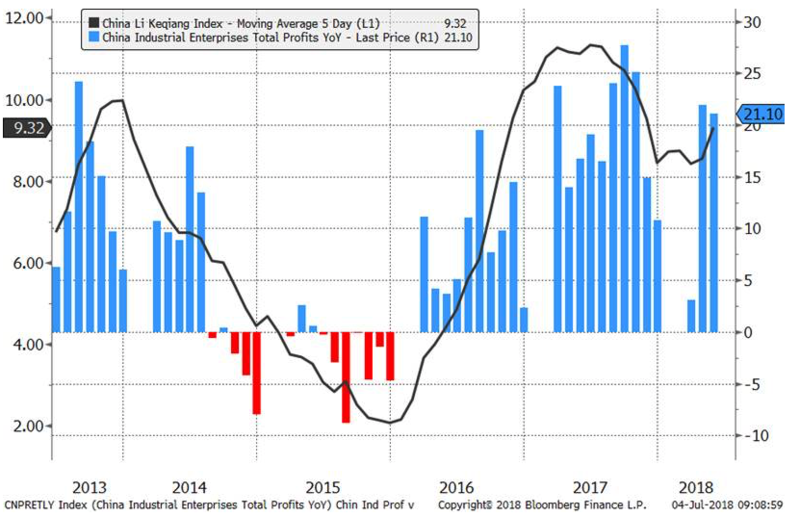 This was evident in our recent trip to China and can been seen in monthly data series such as the YoY change in Industrial Enterprise Profits and the Li Keqiang index (which measures YoY change in rail freight data, power consumption and bank lending). However as can be seen below the picture at this stage is fundamentally different to what we saw in 2015. The key question is, are HK equities pre-empting a move in fundamentals or is this a market driven panic? What are markets pricing in? 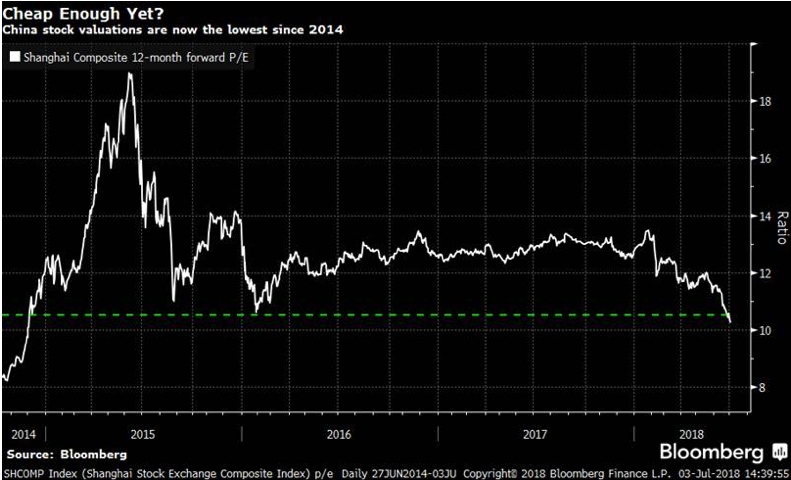 Whilst the 2015 bear market in Chinese equities saw a combination of very high starting valuations and badly deteriorating economic fundamentals the picture today is quite different. The market PE for domestic Chinese equities is already below the trough of 2015. We see plenty of inconsistencies in global cross asset market prices at the moment. It feels like Hong Kong listed Chinese equities are pricing in a harsh slow-down in global growth whilst other equity markets (and other asset classes such as gold and commodities) are taking a more optimistic view. Below we present a snapshot of AIM’s four biggest Chinese holdings. We believe all these businesses have very bright futures and are very attractively priced at current levels. They are the leaders of their industries, have expanding moats, have massive addressable markets, and are all platform businesses or benefitting from technology. We believe their earnings growth outlook is unchanged, we have recently met with management teams, and we have great confidence in their business strategy and execution abilities. While it was a disappointing end to the financial year for those of us who are structurally bullish on China, we remain of the view that the potential for strong total returns remains in FY19 particularly given the entry points and highly attractive valuations of our core high conviction Chinese investments above. Don’t run away from the clearance sale: take advantage and buy the best Chinese consumer brands while they are cheap. 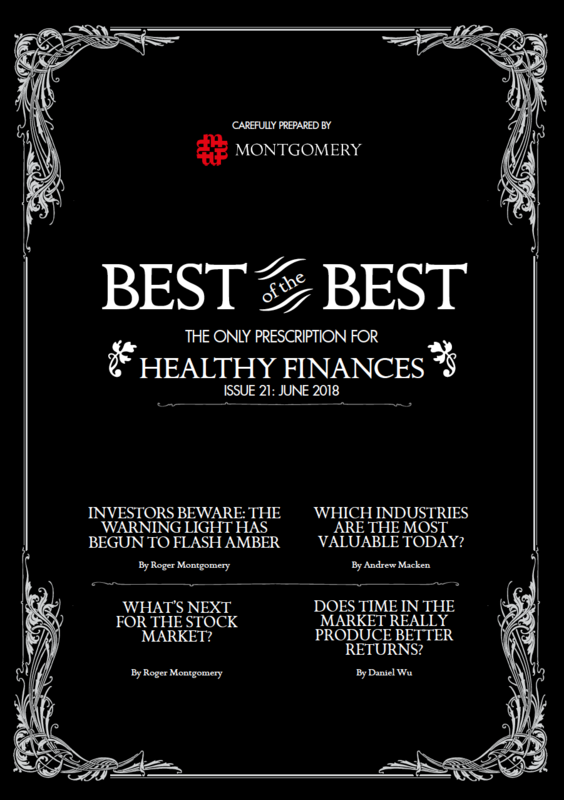 The Investment Team at Montgomery Investment Management regularly produce a report "Best of the Best". We bring you the June 2018 edition. This report is put together by the investment team, and not a marketing spin doctor. The 1st July 2018 brings in the first round of income tax cuts that have been ferociously debated in parliament. The table below outlines the level of tax that is currently paid for a range of incomes and projects the value of future tax cuts. The person earning $40,000 will pay 6% less tax in 2018/2019 and then in 2022/2023 will pay 10% less tax than they currently do. A person earning $150,000 will pay 0.3% less tax in 2018/2019 and then in 2022/2023 will pay 4.6% less tax than they currently do. So while the gross dollar value of tax saving is higher for the $150,000 income earner, they are actually receiving a lower percentage tax cut. The contribution to the tax base of someone earning $150,000 is also 10 times the value of the $40,000 income earner. We dispute the view that is held in some sections of the media that suggests those earning lower amounts of income are being discriminated. It is like suggesting that a person with a $500,000 mortgage receives a higher benefit from a 1% interest rate cut than a person with a $100,000 mortgage. They are both treated equally in terms of the cut, but the higher mortgage saves more due to simple mathematics. In reverse the person with the higher mortgage pays more when rates rise. So it is with income tax, those who earn more, contribute more to the tax base for the purposes of health, education etc. So when tax rates are reduced it is also logical that the dollar value for those earning higher incomes is also higher. Mark Draper (GEM Capital) recently spoke with Joe Lai who is the portfolio manager of Platinum Asia fund. We are pleased to bring you the podcast from this discussion and for those who prefer it, here is a transcript of the interview. Joe specifically talks about why he believes China is unlikely to experience a debt crisis despite the constant media attention it receives and he outlines the magnitude of the investment opportunity in China. Mark: Joining us here is Joe Lai from Platinum Asset Management and in particular, Platinum Asia, who Joe runs the listed investment company, Platinum Asia, as well as the unlisted version of Platinum Asia that you find across the spectrum. Thanks for joining us, Joe. Mark: We’ll start with the Asian markets because they’ve had a big run, albeit from the low base. Mark: 18 months ago, 2 years ago. So, is this run—sustainable is not the right word, but is this as good as it gets or can investors expect decent returns from the Asian sector going into the future? Joe: Yeah, look, I mean, what we believe the opportunity in Asia is one of a long-term opportunity because the growth rate in Asia is going to be, you know, robust, and going forward for quite a long time. And also, the scale of opportunity is just unparallel compared to anything else we’ve seen for a very, very long time. Growth rate on China, even we’re saying that China is growing at—slowing a bit from the heady days of 8 or 9% growth, to about 6 to 6-1/2% growth, that would be still one of the fastest growing regions of the world. And outside of China, we’ve got countries like India and also the ASEAN countries. I mean, these are countries with, you know, collectively, more than a billion people and for the region itself, it’s close to three billion people. They are going to grow in a way—in excess of 3-4% on average. Again, the scale is huge. Mark: And compare that to the American market, the American population I think is somewhere between 3-400. Joe: Yes, about 300 million people and it’s growing much slower. We look at that long-term trajectory, I think, is very, very good. And then we look at the markets. I mean, there’s a lot of concern about valuations and whether we’ve peaked. I mean, the U.S. market is definitively expensive if we look at price to earnings multiple or price to book multiple. In fact, if we look at a lot of EPS growth that the American market has been able to generate, a lot of it has been through financial engineering. Mark: Which then increases earnings per share. Joe: Yeah, absolutely. But in the case of Asia, that has not been the case. Perhaps the Asian corporates or CFOs are a little bit behind in terms of doing engineering, engineering the balance sheets. But certainly a lot of the upside in Asia has been a result of actual earnings growth in the last few years as opposed to EPS growth or a great deal of market re-rating or the PE ratio going up. Mark: You talk about 6-1/2% growth, but I think—and which is less than 9% growth—but the reality is that China’s been growing at a big rate for a long period of time. Is it possible to put some perspective on the size of the economy? Say compared to where it was historically? Because 6-1/2 might not sound great, but 6-1/2 on a big number is a big number. Joe: Yeah. I mean, the size of the Chinese economy is by no means small. At the moment, it’s probably slightly more than 10 trillion U.S. dollars and U.S. is probably 16, 17. On an aggregate basis, it is still smaller, but however, when we look at many of the industries in China, they’re already bigger than that of the U.S. I mean, these may be an interesting fact which a lot of people may not realize, if we look at the passenger car market in China, they’re running at about—selling about 28 million passenger cars a year. U.S. is about 20 million. That market alone, which is a big part of the economy really, it’s already about 40% bigger than that of the U.S. or Europe. The other part of it is this: That market is still growing. I mean, still growing at about 5% to 10% a year and most people buying cars in China are not reliant on car financing. That’s very different to, I guess, the more developed markets. Eventually, how big this market will grow into, it’s hard to estimate. That’s one. But when we look at the property market clearly, the Chinese market is a lot bigger than anything else in any other parts of the world, literally, two, three, four times the size of Europe or U.S. If we look at the smart phone markets—I mean, I’m talking the smart phone here which is, I’m sure are made in Taiwan or Mainland China. China domestic smart phone market is about half a billion. Mark: It’s about 500 million. Mark: New handsets every year. Joe: New handsets a year. U.S. is about a 150 million, so even that market, which is—you wouldn’t say is a back water, sort of like—we’re not talking about sports shoes or T-shirts, we’re talking about a smart phone. Sure, some parts are coming from Japan or Taiwan or U.S. to make the smart phone, but they’re producing a lot of these parts domestically in China as well, as they climb the technological ladder. The smart phone market it literally two, three times the size of U.S. or Europe and the car market is 50% bigger than U.S. or Europe. That is the scale already. We’re talking about when the economy is about, probably two-thirds the size of the U.S., officially. So, I guess, that’s how far they’ve come and they’re going to—the aim for them is to climb the technological ladder and to clean up the environments going forward. Undoubtedly, I mean, they will continue to progress further. Compared to where they started, I guess, since liberalization, the GDP per capita of China, if we look back 35 years ago, it would be very close to that of North Korea. I mean, it’s amazing. This country has taken off where some of the countries haven’t moved on at all. That’s, I guess, the scale and opportunities there. Mark: And part of that is driven by population growth, but it’s more than population growth. It’s the rising wealth in middle class here, so you’ve spoken about car ownership, you’ve spoken about mobile phone and internet access. Mark: What are some of the other things that you’re seeing in China that as middle class develops, they’re spending money on, that by extension creates investment opportunity, clearly. Joe: Okay. I mean, that’s a lot of stuff—which a lot of things which are changing for the better. I guess if we sort of go back one step. I mean, what is underpinning sort of this growth in income and all productivity is because they’ve done the appropriate amount of investment in various things. If you travel to China these days, you’ll see that they’ll have first class infrastructure in roads, telecommunication, a 4G network. The high-speed rail, which just completely opened up the country. Even the smaller cities offer a few million people. So, you mentioned you’re doing business that you can actually ship things around and things just work. Joe: And also, the investment in education is actually quite interesting. Each year there’s about 8 million university graduates that China produces. Joe: Yeah. And this number actually has ramped up in the last five or six years, so there has been some effort to increase the supply of skilled labor into the economy where because there has been a desire for the economy to lift productivity, to climb the technology ladder, they knew that they needed people. And of the 8 million, half of which are actually engineers and scientists. I mean, it’s actually what they need. That’s very different, I guess, to other countries which actually haven’t grown their university graduates or the focus on engineering and science may have actually gone backwards in the last 5 or 10 years. Investment in infrastructure and education are key for—to sort of the strong underpinnings for economic development for the country. So, looking forward, we mentioned about cars and we mentioned about smart phones. These are markets which are already bigger than in the U.S. compared to—sorry, bigger in China, compared to I guess developed countries in those market size. There are some areas which China is still smaller in aggregate than Western countries. And we sort of have experienced some of it in this country, like things relating to consumption of insurance, healthcare, some of the luxury goods, some of the—I guess things which are more, I guess, differentiated or tastes which they’ve yet to acquire. I guess in this country we’ve seen the vitamins doing well. Perhaps some of the milk stuff from New Zealand and also wines going well. These are some of the stuff, I mean, we’re not directly involved in those because these are sort of, I guess, local companies. But the markets which I mentioned, insurance and healthcare, and some of the technology companies, I mean, the insurance market in China is small compared to that of Western countries on a per-capita basis. Even if you go to places like Shanghai, the insurance penetration is literally a fraction of that of Hong Kong or Taiwan, but you know that it is an essential product that people would want, once they have money and they want to protect their wealth, they want to protect their family’s livelihood. Mark: You’re talking life insurance or you’re talking car insurance, house insurance, etc.? Joe: Yeah, yeah. So that’s interesting. And we’re seeing private companies in China doing very interesting things. Some of these industry leaders are doing things which are leading, I think, most of the world. For example, we own one of our biggest, or bigger, positions is a company called Ping An Insurance. I mean, they’ve actually applied artificial intelligence in a big way. I mean, literally spending literally billions of dollars over the last, about three or four years, on improving their ability to serve the customers by using AI. They’ve got a voice recognition product that when you call up, they can, I guess verify your identity without you telling them anything. I mean, you know, when we call up Telstra and ask you for date of birth or address to certify that’s who you are, but here they’ve got technology to go to Mr. A and then we know this voice and then if this voice matches, that’s him. So, that’s something like that. And also, when the people have car accidents, they’ve got this thing on the smart phone, this app on the smart phone where they can launch their claim. I mean, they can photo of the car, where the damage is, and actually utilizing artificial intelligence to work out what is the damage and also the cost of repair. Then this is, I guess, good for controlling fraud. It’s good also for customer experience. I mean, these are just some of the things which are happening very rapidly in China because it’s the investment cycle in China of experimentation, try something out. If it works, use it. If it doesn’t, let’s move on. It’s much faster than most other countries. Mark: Have they got a national healthcare scheme at the moment? Joe: Absolutely, Mark. I mean, that’s been ramping up. The desire from the government is to improve the livelihood of those people who sort of didn’t share as much in the fruits or dividends on economic growth in the last 20 years. Over the last few years there’s been progressive rollout of coverage in terms of health insurance. I mean, it’s not perfect. But nowadays, most people in China are covered by one kind of insurance or another, mostly public based and then some are local government based. But what it means is that going forward, we think that the consumption of healthcare will continue to grow, almost irrespective of the growth or GDP growth of the country. And as the people get more discerning in terms of their healthcare, they will start to use some of the drugs which Western countries are used to. Like if you actually look at the top 10 selling drugs in most Western countries, including Australia, these days, most of those drugs are what are called biologics and they’re actually quite expensive. Expensive drugs which can target specific diseases very accurately. Gone are the days of using one drug to treat everything. It’s almost very titled medicine. I mean, I was a medical doctor before I did this, working in this industry and the type of drugs I’m seeing today is truly amazing and China is starting to adopt these drugs as well. We own some companies which are producing some of these biologics in China. They’re not the easiest to produce and these drug are not even in the top hundred in the Chinese league of drug sales, whereas some of these drugs are already top 10, including these countries. That to us is very interesting and it’s going to grow multiples the pace of the economy. Mark: Are you seeing homegrown healthcare companies compete with the West? Mark: Or are you seeing Western healthcare going to Asia? Joe: Yeah, I mean, that’s an interesting question, Mark. I mean, it has certainly been a mix of the two. And the fact is, I mean, it would go to the issue of scale and accountability. I mean, China is almost unparalleled compared to most other countries. But bottom up work suggests that in early days, foreign companies would go into China and sell their drugs or medical devices and actually at a quite high price, because it’s seen as like a luxury good. You know, they can charge—the prices we pay in Australia would be literally a fraction of how much these local Chinese people paid previously. As you can see, the dynamic, together with sufficient capability, but domestic eyes and capital to invest in R&D, what have you, creates this dynamic where the pressure for the locals to actually substitute for the imports is very high because they can see that if they do well, first of all, they’ll make a lot of money. Second of all, there is some government support for the locals. Thirdly, it is—they also, I think, recognize that they’re doing a benefit for the local people who may not be able to afford imported drugs. In the case, just some examples, in the case of insurance, I mean, I think some listeners may know insulin, basically it’s used to treat diabetes. There’s different types of insulin and in most parts of the world, this market isn’t only. It’s dominated by four or five, probably four companies. Sales are different, the same kind of insulin, but at a very high price. In China, there’s already drug companies making insulin, which is actually very uncommon. I mean, it’s almost happening nowhere in the world, so we’re sort of investing in one of them to provide, I guess, cheaper version of high-quality insulin in the country. The other element, the other example I can cite, is cardiac stents. These are things which are used to treat blockage of the arteries, in the heart. Again, this is, in the rest of the world, is an oligopoly, controlled by a few big U.S. and European companies. In China, more than half, in fact, maybe 60% or 70% of the cardiac stents are made domestically, by domestic companies. Joe: And some of them are trying to sell it overseas. They’re very successful. We are sort of invested in one of the companies there as well which makes cardiac stent for the locals. They’ve actually gone around the world in acquiring the second player globally, or third player globally, of pacemakers…what else? Orthopedic prosthesis, to bring it back to the country. To maybe make it at a lower price, but huge market. But the product itself is—the products themselves are superior to what the locals have been making previously. So, I mean, we find that to be rather a prospective area to have some money. 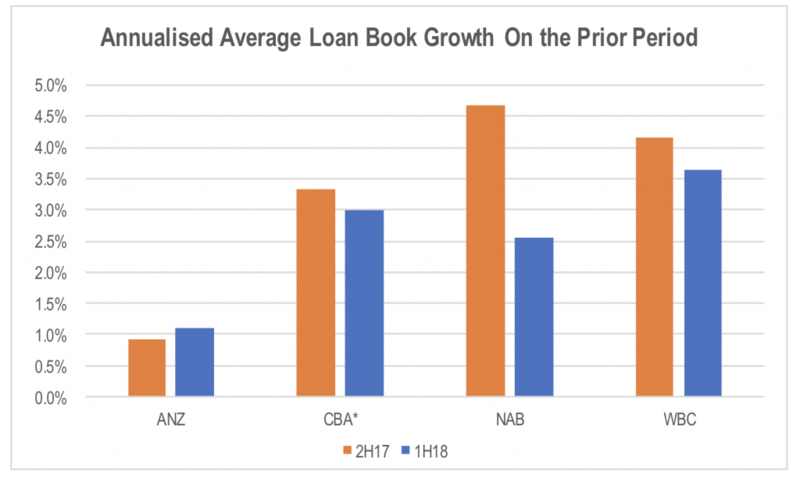 Mark: One of the perineal things that seems to be around the Australian media is the expectation of a Chinese credit crises or a banking collapse over there. Can you give us a feel for whether that’s reality or misguided? Joe: Yeah, look. I mean, okay, I think it’s misguided. It is understandable why there has been a concern because China has ramped up as a country, rammed up its debt load since the global financial crises. And a lot of it is the stimulus which they implemented. But the good news is this is something that everyone knows about. I mean, if there’s anything that we can trust the local Chinese authorities to do, is to count. They can actually calculate and count where the problems are. I mean, it’s been like literally six, seven years since even Western countries or people outside the country started to talk about geez, there’s debt. You can imagine and I think you can believe that the local authorities who are interested in a 30, 50-year future for the country or more, to want to diffuse any problem that may have arisen as a result of the stimulus. What are we looking at today? China’s debt to GDP is actually about 250%. And okay, to put it into context, that is actually similar to most developed countries. I mean, USA is about 250, 260. European area is about 250. Japan is about 400% to GDP, so it’s a lot higher and it shows that a country with a trade surplus actually can sustain very high level of debt, because it means that they’re not relying on foreign capital to fund their debt when they run the trade surplus. And Japan is the case, is a good example. If the absolute accurate good level is high and it’s ramped up quickly, but it’s not disastrous and in fact, it’s manageable. And the second thing is, almost all the debt in China is domestic. In other words, they’re not reliant on foreign countries or people or corporations to keep buying their bonds. They can actually buy their bonds themselves with the savings. Joe: And the other benefit of having all the debt in domestic currency is that if really push comes to shove, they can print money, which I guess most countries have done in the last five—or since the GFC. There’s all these levers they can pull. The next thing is, as we mentioned before, this problem is not unrecognized and if you Googled—I mean, there has been some—basically its getting managed and that’s been, I think, increasingly recognized by people. The Bridgewater guy, Ray Dalio, I think he recently did an interview, mentioned about that. It’s interesting, he said, well, you know, in the GFC, we have I guess developed countries, central banks reacting to the problem. But here we actually have a forthright regulator trying to deal with the problem and in fact, he thinks they’re doing a good job. But anyhow, that’s just an aside. Mark: Donald Trump has helped in that respect because he’s, through his Twitter account, talked about potential trade wars. Is that something that is concerning you guys? Joe: Look, I mean, the fact is, I mean, I find it so hard to predict what Trump—what Mr. Trump is going to say or do. But if we—I guess put it this way, if we go down the path of an all-out trade war, it’s clearly not good for markets, and particularly, I think, it may change the way how people assess the U.S. market, especially given the valuation of that market because put up tariffs and whatever, it is going to harm them just as much as harm everyone else. Just increasing inflation, reduce the ability of people’s real—or reduce real income for the people. But I think if one, I guess, try to rationalize it, everyone knows that it’s a bad outcome for all and so it makes—it actually makes no sense for anyone to want to go down this path in a big way. There may be skirmishes and there may be some people making statements to actually have across the board withdrawal basically of globalization. I just don’t see how anyone can effectively support that. The reaction from, I guess, the key countries, interesting. We see these aluminum steel tariffs, which, Trump talked about. China actually didn’t say much about it. They actually said, it’s not good. Joe: Yeah, and the reason is, as you know, Mark, that the percentage of Chinese imports into U.S. in these two products is literally less than 5%. I think the percentage of Chinese imports or steel imports in the U.S., China constitutes maybe 2% or something like that. It’s very low percentage. Certainly, it’s a very, like less than 1% output of Chinese steel industry. So, they go, okay. But whereas Canada is a much bigger part and Mexico and also Brazil and maybe even Korea or Japan. Mark: It’s not the steel and aluminum and such, it’s the bigger issue of whether it’s more widespread. Joe: Yeah. It becomes more widespread and because everyone—and so they do want to stave off this—Mr. Trump going down this path by, I think they will announce some things to try to appease him. Whether it’s enough or not, I think it will, I guess, calm down the situation somewhat. But of course, if there is real impact made to the various economies, particularly in China, they would retaliate in the form of maybe tariffs on some of the agricultural imports from the States and maybe cars. I mean, the truth is, most car companies—a lot of foreign car companies, from China’s perspective, are reliant on the Chinese market for profits. Mark: GM, Ford. They’re all there. Joe: GM, Ford, yeah. And it is the biggest car market in the world. It makes no sense to go down this path, but I can’t really predict one way or another. Mark: It’s a good answer. And sorry to drag down the tone actually of this conversation about Asia with Donald Trump. Mark: But that’s just something to cover off. Mark: It is a generational opportunity to invest in the Asian region and thanks very much for your time to explain some of how you guys are going about harnessing this opportunity for investors. Thanks, Joe. Telstra - Good Value or Value Trap? Mark Draper (GEM Capital) is writing a monthly column for the Australian Financial Review. This article will appear in the print edition of the Financial Review on Wednesday 13th June 2018. At the time of writing, Mark did not own Telstra shares. If you have any story ideas that you would like us to write about, we would love to hear from you. Telstra look’s cheap on a valuation model (see chart below), but is it a value trap? The trouble with valuation models is that they rely on assumptions. We are of the view that it is better for investors to spend time thinking about what is likely to alter the inputs of valuation models, such as margins and competition rather than finessing the model itself. 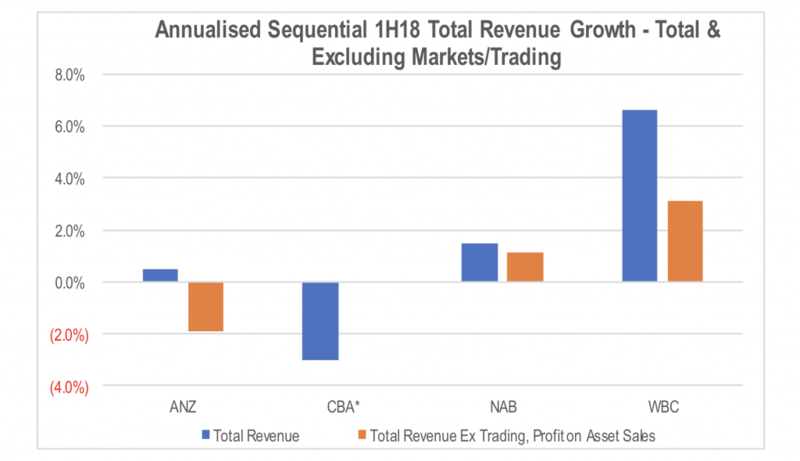 Telstra has a dominant market position, the best infrastructure in the country and receives high margins for its services and yet trades on a Price Earnings ratio on a historic basis of less than 9 times. The latest trading update from Telstra showed deteriorating earnings and falling margins. The bright spot for Telstra was that free cash flow was at the upper end of forecasts, while earnings was at the low end. The dividend at 22 cents per share for this year was confirmed, putting the stock on a juicy yield of over 7% fully franked. 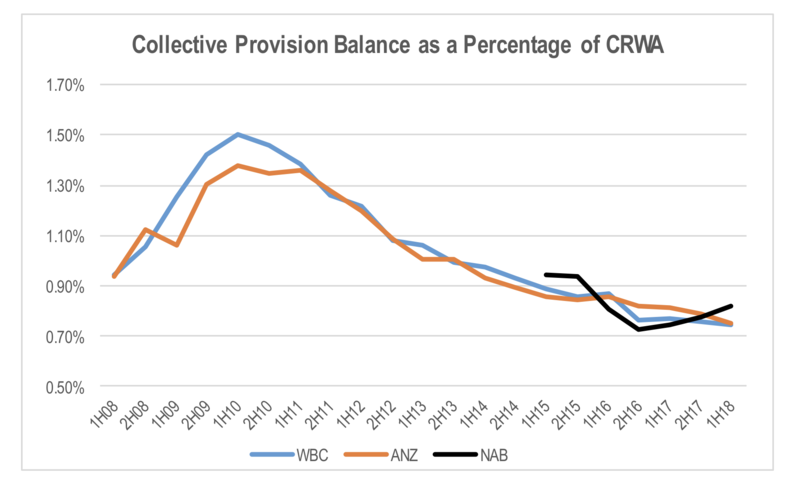 The dividend on a medium term view however is under a cloud, particularly once the one off NBN payments stop. It is important for investors to look beyond todays yield and to concentrate on the future earnings of Telstra in order to determine value. Telstra earns most of its money from broadband and mobile divisions, so it is critical that investors understand what is happening in these divisions well. The core earnings of the Mobile division are under pressure. After years of customers flooding to Telstra’s mobile network, a recapitalised Vodafone is growing market share and TPG will turn on their network later in 2018, initially offering free service for 6 months and then offering plans at a jaw dropping rate of $9.99 per month. Average revenue per user in Telstra’s mobile division is around $65 per month today, but TPG and other competitors are likely to force this to below $50 per month according to analysts at Intelligent Investor. Telstra currently enjoys margins from its mobile business of around 40% but this margin as well as customer numbers are under threat. The NBN offers no comfort for Telstra share holders either, as around 180 NBN resellers are fighting for market share. 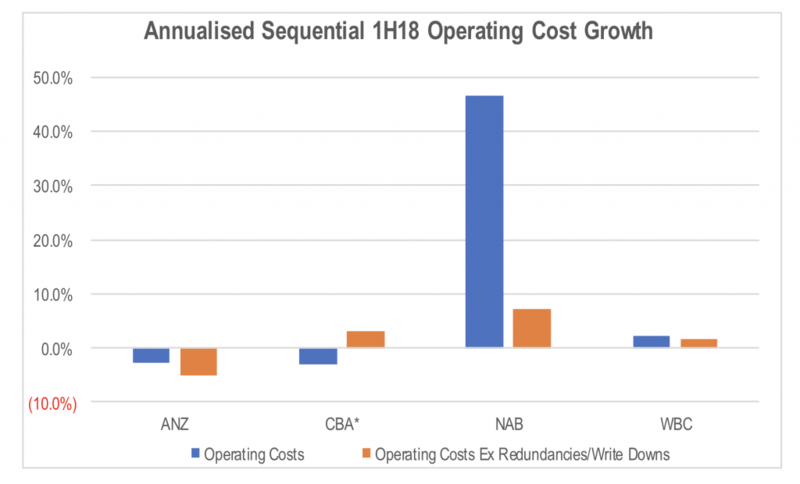 The economic model of the NBN looks challenged, but even if access charges to NBN resellers were to fall, there is no certainty that the price cut to access charges would improve margins, or simply be competed away. As the NBN grows it transforms Telstra from an asset owner into a reseller. 5G, which is to be launched next year, potentially makes parts of the NBN redundant according to several institutional investors. That is a potential positive for Telstra as they would receive income directly from their 5G customers, most likely at a higher margin than reselling the NBN. The unknowable question however is how much will Telstra need to spend to buy 5G spectrum. 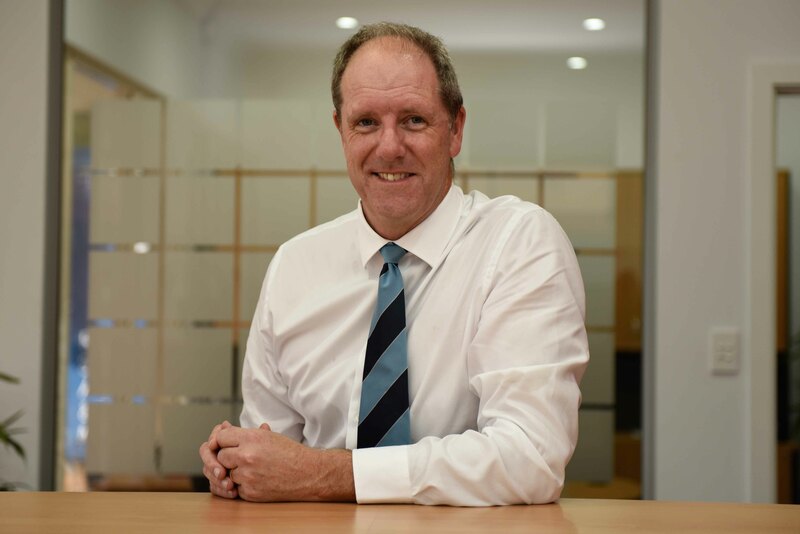 Roger Montgomery from Montgomery Investment Management currently believes the ability for Telstra management to cut costs is under-appreciated by the market. 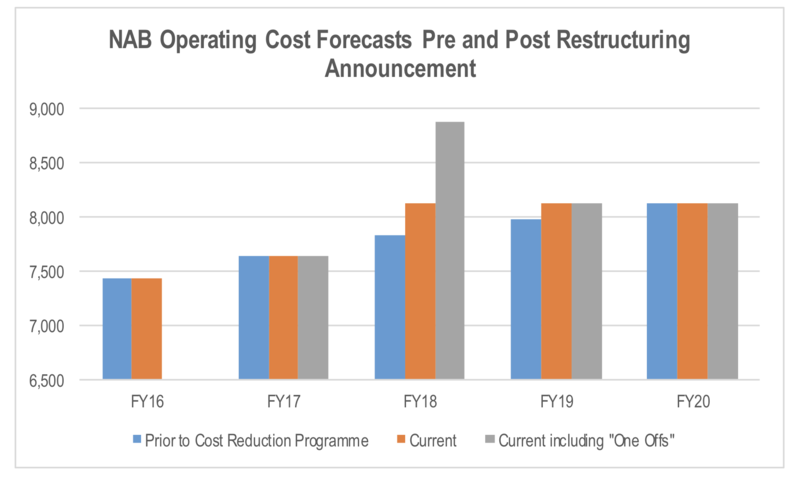 Telstra has already announced cost savings of $1.5bn, but if larger savings can be made, this could help fill an earnings blackhole of around $3bn. Telstra is an outstanding mobile operator with infrastructure advantages, but the risky thing is its ambition to offset declining broadband and mobile margins with a plan to become a global technology business. If management can execute this strategy well, shareholders would be rewarded, but it carries material execution risk. Telstra management plan to provide a critical update to the market during June 2018 about their future plans for business. It seems that there is universal agreement that Telstra’s earnings decline in the foreseeable future. So despite the share price having some valuation appeal we are likely to wait until the June update from management before making our next move. We recently met with Geoff Wilson, CEO Wilson Asset Management to discuss his view of the ALP proposal to scrap imputation credit refunds. Geoff believes that this is policy on the run, which has not been thought through and disadvantages self funded retirees in 'the middle' and most certainly doesn't impact the 'big end of town' as Bill Shorten makes out. Wilson Asset Management have established an online petition that investors can sign voicing their disapproval of this policy position. We would encourage you to sign this petition online. Here is the link to the petition. Below is the podcast we created with Geoff, complete with a transcript for those who would rather read than listen. Mark: Here with Geoff Wilson from Wilson Asset Management. Geoff, thanks for joining us. Geoff: Hi, thanks. It’s great to be here in Adelaide. One of my favorite cities. Mark: Neither with us, it’s safe to say. Probably the best place to start is just to talk through what the ALP are proposing and before that, just to give a quick bit of background on what actually dividend imputation means and what it is. Geoff: Yeah. I mean, to me, dividend imputation, it was very intelligent doing that. What it’s trying—well, it what it was brought in for, was to stop the double taxation effect. So, if tax was paid by a company, then the individual wouldn’t have to pay tax and it was seen as being unfair. Effectively that would be—historically it’s been double taxation and that’s why imputation came in. And yeah, you end up—if tax has already been paid by the company, say at 30% and you’re only paying 10% tax, then you’ll get that other benefit, the other 20% back from the government. Mark: We’re shooting this in an office, by the way. I mean, the ALP, the policy that they came up with just recently is—to me it is just so incredibly unfair. Mark: Yep, yep. And we’ll talk about who it’s unfair to in a second. Wasn’t it ALP that originally bought in dividend imputation back in…whenever it was? Geoff: Correct. Yeah, correct, it was. And the incredible thing is, the changes they propose recently, even though the refunds you get, if you’ve paid in theory, you know, there’s been too much tax paid, you know, the Liberal Party bought in, but it was actually the ALP’s plan to bring it in, but Liberals happened to be in office at that time. Mark: That was in the year 2000. Geoff: Yeah. Yeah. I mean, to me, it’s a little fascicle that part. You know, they’re trying to blame it on the Liberals. And things have changed significantly since then. To me, it is so unfair and cruel what they’re doing with this policy because this—yeah, I’ll go to superfund, yeah, I’m over the $1.6 million cap. This will affect me, but I’m in pension mode. Mark: This is you personally? Geoff: They’re not going to impact me. And so to me, it’s just—and what makes me so angry, like we’ve got with our listed investment companies, we’ve got 55,000 shareholders. 60% of them are self-managed super investors and that live on what they give back or what they get through their income and this is going to have a significant impact on them. Mark: Let’s look at who does this impact because it doesn’t impact the people who’ve got millions of dollars, which is ironically is the very target that Shorten was allegedly trying to get at with this policy. So who does this negatively impact? Geoff: Well, in theory, it impacts everyone in the middle. Well, first of all, they came out with a policy and then they realized—to me, it’s policy on the run. They come out with something illogical, they haven’t even thought it through. Mark: Yep. They didn’t even know who it impacted on day one, did they? Geoff: No. No. That’s right. And then they had to come out and change it and say, “Look, okay, it won’t impact on people on pensions and part-pensions.” But what about all those other people? So, in theory, he was trying to say, “Oh, it’s the big end of town,” but it’s not impacting on that end of town, the wealthy. It’s actually impacting on the people that are in—have their own self-managed super funds, live on that income or those refunds, and all of a sudden, yeah, their income could be chopped by 15%. I mean, that is appalling. Geoff: And particularly after—it’s not as if they haven’t had enough pain. The goalposts keep moving in that area. We had the Liberals bring in their cap, that moved the goalpost 1 degree. Mark: Yeah, and they had already reduced the asset test level back in 2016, I think as well. I think it’s 2016 or 2017, fairly recently. So, the poor people who’ve had $800,000, who saved all their life and worked really hard to accumulate that level, lost $15,000 worth of age pension and now they stand to lose probably another 10. So, we did the math on it and worked out somebody with $800,000 stands to lose about 40% of their income in the last two years. Mark: That’s where the middle ground, is what you were talking about, given that 800 is roughly where the pension cut-out limit is for a married couple and a bit more than 500 for a single person. Geoff: And you think of that if you’re retired, I mean, that is brutal. Mark: It’s not hitting the big end of town, clearly. It is hitting the middle. They’re giving exemptions, which are going to be very, very difficult to actually administer. Let’s not even get down that path because the exemption, I think, at the moment, is relating to people who were on a part pension. Who are the people other than the big end of town with superannuation, self-managed funds, or people with reasonable balances, who else gets out of this? Who else is not impacted by this? Mark: Yeah, but not for big super funds. Geoff: Yeah, but not for big industry funds. So, to me, that’s again, an unfair thing. And we talked about the financial impact, but there are other impacts. Which, I mean, we see it with our shareholders. On a six-monthly basis, we present to them and a lot of people—having a self-managed super fund in retirement becomes—investing becomes part of their life. They follow the market very closely, they have good advisors, etc. And to me, what we haven’t measured is if they’re trying to do this to the self-managed super funds, is the actual negative mental health impact that it has. Say I’ve probably got my 800,000, oh, well, I’m not going to have a self-managed super fund anymore. I won’t have the enjoyment of managing my own money or being involved in managing my own money—which Labor is trying to push them to—I’ll just put it in an industry fund and be done with it. And then I go and sit on the beach and twiddle my thumbs. To me, there are all these unintended consequences and to me, mental health of an aging population is very important. And mental health has got to be one of the biggest problems globally. Mark: What do you see as some of the other unintended consequences? Because one of the problems of policy on the run, which this clearly is, is that you’re not thinking through about the domino impacts. I mean, I just am reminded of the resources tax when that was brought in on the run and the dominoes were never considered in that. What are some of the other unintended consequences here, Geoff? Mark: Life blood of the economy. Geoff: No franking. And so money is going into other areas. Am I better off investing it overseas? Mark: So, it’s really removed. Geoff: The tax rate in the U.S., you know, Trump’s dropped it to 21%. Am I better off investing in a company where it only pays 21% tax rather than one where it pays 30% tax? Geoff: To me, it’s all these unintended consequences. Mark: Yeah. No, that’s a good point and it’s really removing some of the oxygen from the economy. It’s got potential to remove oxygen from the economy, essentially. Mark: Yeah. Well, that’s quite comical that on one hand, Bill Shorten is saying, “Oh, we’re here for housing affordability,” and then on the other hand, he’s saying, “I don’t mind people pouring more money into property,” which can push the price up. It’s totally illogical. Mark: So, Geoff, just to finish up on, what would be your advice to investors at the moment? You deal with the whole swag of retiree investors, which is pretty much the audience we’re talking to here today. What would your advice be today on how people should frame this and how they should think about it and what they should do right now. Geoff: Yeah. Well, I mean, to me, you—well, first of all, we’ve seen that Labor, with policies on the run, they have flexibility to change. Geoff: I mean, the better scenario is we don’t have to worry about this, so in the next election, next year sometime, the Liberals get in, but who knows. Geoff: But definitely put as much pressure as you can on any local member, any Labor member. Write to them just how appalled you are at what they’re doing. To me, it’s just the—like how many retirees do we have in Australia or, to me, there’s got to be a big group of people that are putting—that are making Labor realize that if they do this, there are significant consequences. Geoff: I definitely wouldn’t. I would definitely stay close to it. I would get as much advice as you can. Mark: And write to your—or go and see—your Labor local MP. Mark: But not adjust your investments at the moment? Mark: Then you execute it at that point. Mark: Geoff, thanks very much for your time. Very interesting issue. We’re both on the same page with it, so appreciate your input. Geoff: Thanks for that. Thanks, Mark. Thanks.